We’ve always had a “status” column under Running orders to tell you how far your order has got in the manufacturing process, but our customers have told us that the names of the steps and what they mean has not been clear enough. We want to make our services as smooth and as transparent as possible for our design and purchasing customers, so we have introduced a new timeline. Now in one place it tells you where your order is, what we are doing with it, whether you can make any changes, and when it will be shipped. It links to full details of the order and to its associated paperwork. All the information and links you need to check that your order is proceeding smoothly and will be delivered on schedule can be seen at a glance. Below them is a thumbnail of the top and bottom of the finished PCB, and 5 boxes showing the timeline through the factory. Each box contains 1 or 2 green dots. Click on the dot to see the associated message. The boxes and dots correspond to the process steps in the Status column. Analysis. The order has been placed. One of our engineers is inputting and checking the data. More. Single image. An engineer is preparing your data for production. The name “single image” may be a bit confusing. It refers to what we will deliver to you as customer. So, depending on what you order, it may be a single circuit or a delivery panel. We put the single images together to build the data-set for the pooling panel that will go through the factory. More. Single image CC. A second engineer is cross-checking the work of the first engineer to ensure that it is correct. More.These are the data checking stages. They are shown by a single green dot in the Analysis box with the message: You still have the opportunity to modify your data. There is a direct link to the appropriate menu. If you have requested a Pre-production check you will receive an email that we have prepared the production data and it is ready for you to check. EXP. We have raised an exception at one of the preceding stages. When this is sorted, the job will go back to status Analysis.Now there is a red dot in the Analysis box and the message indicates what action you should take. 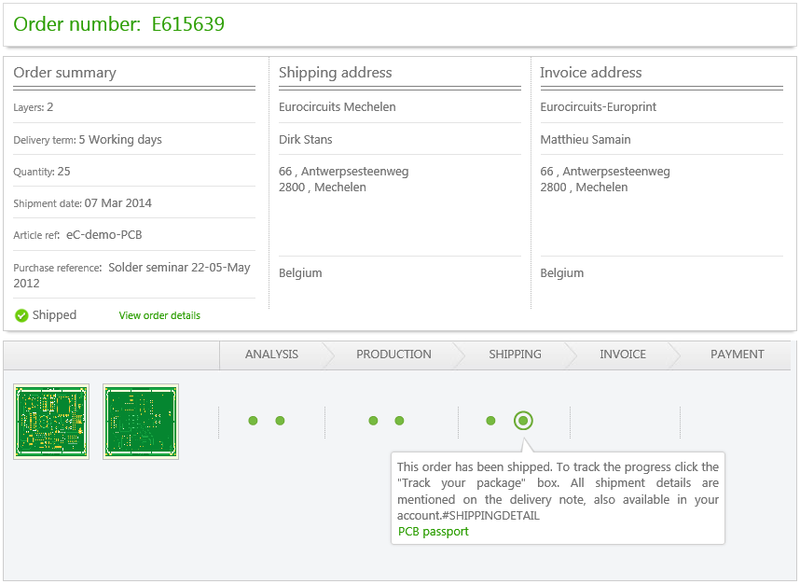 A green ring indicates that the order is back in process. Panelise. The single image data is now ready to be put onto a production panel.The single image data preparation is complete and no further changes to the data are possible. The only change you can make to your order is to change the delivery address. There is now a second green dot in the Analysis box with the message: The order confirmation lists the technical parameters of your order. If there is something wrong, you should contact us by chat immediately. In production. The job has been put onto a production panel and is now in the process of manufacture. Accepted after inspection. Your job has been manufactured and inspected. It is now ready for shipment. Internal logistics, 4 Express to Aachen, 6 Aachen logistics. Your job is being prepared for dispatch. The second two status names are for our internal use only. Tracking number and link to the courier service. Passport for the job’s quality record. Invoiced. There is only 1 status step and 1 message. Invoices are normally emailed to the designated contact 2 – 3 days after the boards are dispatched. Unpaid invoices are listed under the Financial tab, rather than recorded as a status step. When the invoice has been paid we complete the timeline. Eurocircuits is a Main Sponsor at The Evertiq Conference 2014 in Stockholm at 13.5.2014. You can find us there as exhibitor and in the conference as speaker. The conference takes place at the Scandic Infra City, Kanalvägen, Upplands Väsby, Sweden. The program of the conference can be found here and runs from 08H30 to 16H15. Eurocircuits will be showing its newest tools for PCB visualization and DFM, prior to ordering and completely free of cost to the user. Register for a free TEC2014 entry ticket. Please do not forget to mention Eurocircuits. More on the show can be found on the TEC2014 website or contact us, euro@eurocircuits.com. Eurocircuits is exhibiting at Affidabilita & Tecnologie, Lingotto Fiere, Via Nizza, 280, Torino, Italy. You can find us on booth D17. Hall plan. The exhibition is devoted tomethods, solutions and technologies for the competitive Innovation. Designers are the targetted audience for the show and conference. Register for a free A&T2014 entry ticket. Please do not forget to mention Eurocircuits. 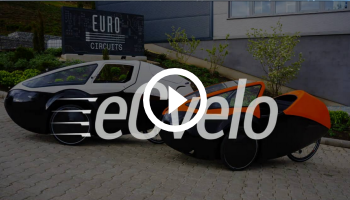 April 16th: 9.30 a.m. – 18.00 p.m.
April 17th: 9.30 a.m. – 17.30 p.m.
More on the show can be found on the A&T2014 website or contact Mauro Villa, mauro.villa@eurocircuits.com. Since it was launched in 2012, PCB Visualizer has processed around 100,000 PCB designs. Most of these have either validated the customer’s data-set or raised clear issues (missing files, track widths or isolations out of specification, etc.). But every day PCB Visualizer presents results on a few jobs (perhaps 1 – 2% of the total) which are not clear to our customers, so they contact us by chat, phone or email for clarification. Many of these questions are the same, so it is worthwhile now to explain how PCB Visualizer works and what it is designed to do. PCB Visualizer is an automatic Gerber checker, running a preliminary analysis on customers’ data either prior to quotation or prior to order. The purpose of the check is to ensure that all the data files are present and there are no major data issues which will cause an exception and hence delay production once an order is placed. This is not the only check that we will carry out on your order. Our engineers will re-check your data 100% while preparing the production data used to manufacture your PCB (more on this process). This means that in many cases where PCB Visualizer raises an issue, you can place your order confident that our engineers will resolve the issue without any problem. If you need to change your order details or upload a new data-set to sort a PCB Visualizer issue, click the Modify button in the Basket menu. If you want to change the order details without uploading new data, just click Continue in the “Complete action” menu: there is no need to reload an unchanged data-set. Builds a map of each layer from the files. Note that the co-ordinates are not necessarily presented in any logical order. Aligns the layers with each other. If the layers are not aligned in the CAD data, this is a statistical process. Determines the board outline. If/when Gerber attributes (see blog) become widely used, the designer will be able to assign a “profile” attribute. Until then, looking for an outline can cause issues. Determines the stack up. This is based partly on file names and partly on an analysis of the contents of each layer. In the absence of fixed layer naming conventions this can also cause issues. Analyses the build found against the order: are all files required by the order present in the data set? Are all layer files in the data set included in the order? 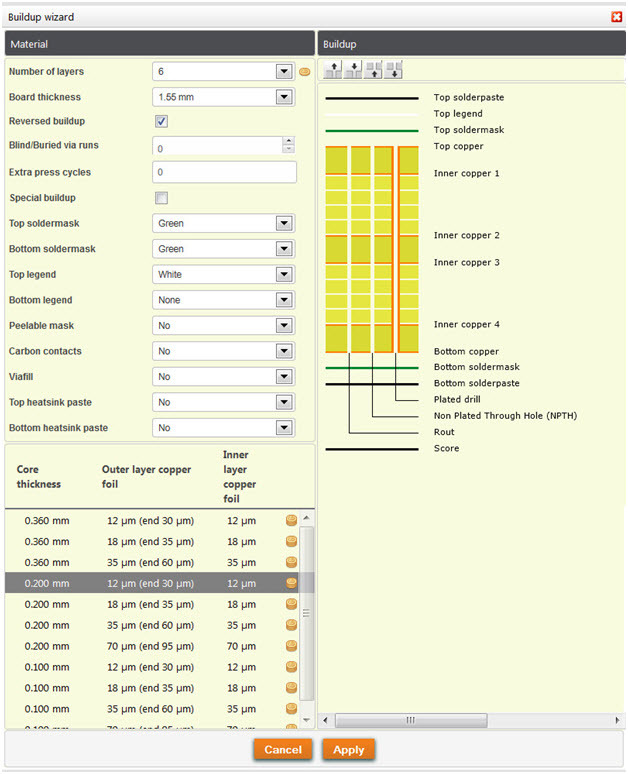 Analyses each layer for minimum track, minimum isolation, etc., assign a pattern class and drill class and compare with the order. Analyses drill and copper layers for annular ring values and compares them with the order. Completes the report by reading in other information from the order. What are the most common questions our customers ask us? 1. Why is my job taking so long to process? An average job takes 2 – 3 minutes to process and we process 6 jobs simultaneously. We receive around 300 orders a day, but they don’t come in evenly throughout the day. So at busy times there is quite a queue of jobs being processed. Our development engineers are always looking at ways to speed up processing. Some jobs have very large data files. This applies especially to boards with plane areas or layers built up from fine-line draws. In these cases PCB Visualizer may need to process tens of thousands of vectors. Sometimes there are software issues or a server is down. We always try to fix these as quickly as possible. If it’s not a busy time of day (late afternoon usually) and your job has normal size files but is still taking more than an hour to process, contact us by chat. 2. What do the flags mean? There are no issues with your job. You can proceed to order. PCB Visualizer could not import all the data or could not work out the correct build. Check the associated message to get more information on the issue. PCB Visualizer has found a non-critical issue. You can place your order as our engineers will probably be able to resolve the issue at the tool-preparation stage. But you might want to review the data before you proceed. PCB Visualizer has found a critical issue. You need to correct it now to avoid an exception later. 3. What do the messages mean? Data not in Extended Gerber (RS-274X), or EAGLE .brd Version 6. If the data is in Standard Gerber (RS-274D), PCB Visualizer cannot read it but our CAM systems can. Check that you have included an aperture table and place your order. Otherwise generate Extended Gerber files from your CAD system. No outline detected. Outline might be incorrect. Registration may be incorrect. Layers cannot be registered. Registering the layers is a statistical operation. It can be an issue if the layers are not registered in the CAD data and the layout contains only a few elements. ACTION needed: Place your order: our engineers will register the data manually. There is no outline in the data. ACTION needed: Place your order: if you have defined your outline clearly, our engineers will find it. We recommend that you do not use corner blocks as they can be ambiguous. ACTION needed: Place your order: our engineers will find the outline and delete any data outside the board profile before manufacture. 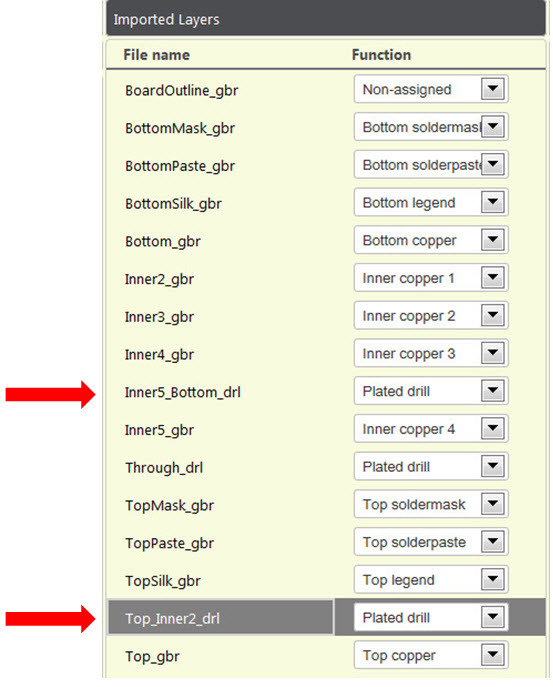 This may be because you have not included a drill file in your data-set or because you have supplied a Gerber drill map instead of a drill file (see PCB Design Guidelines p. 14). ACTION needed: Load a new data-set including an ASCII-formatted Excellon drill file. Board buildup could not be determined. Board buildup may not be correct. 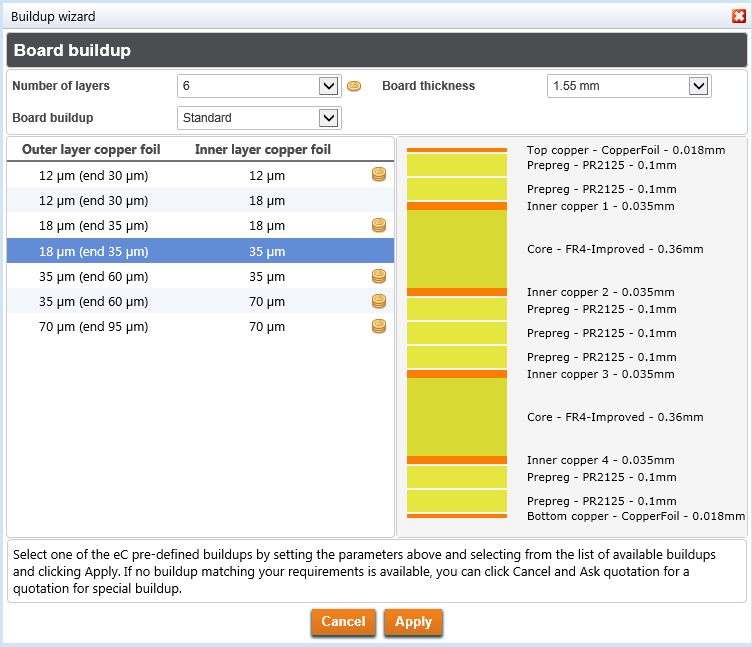 PCB Visualizer determines the buildup on the basis of the layer names and the content of the layers. If possible use our recommended layer naming conventions (see PCB Design Guidelines p. 4). Otherwise if PCB Visualizer has not assigned the layers correctly, use the Layer editorto correct the buildup. PCB Visualizer will learn the new assignment for future reference. 4. PCB Visualizer has put a red flag against my job: what should I do next? Plating index lower than 0.4. The plating index is a measure of the evenness of the copper thickness across the PCB . If the value is less than 0.4 there is a risk that some areas may be over-plated (copper too thick) and some under-plated (copper too thin). Click on the line to see the plating index image. ACTION needed: For prototype boards this is not normally an issue. Place your order, though we cannot guarantee that the plating will be perfect. However, we recommend that you try to even out the copper density (usually by adding extra copper) before going into volume production. This will make a more robust end-product. Minimum track-width and isolation distance. Modify the order to use a higher class. Note that this may increase the price of the board, and class 10 cannot be made. Modify your design and upload a complete new data-set. Our engineers may be able to correct a few minor errors. Place the order. If we cannot fix them, we will raise an exception. 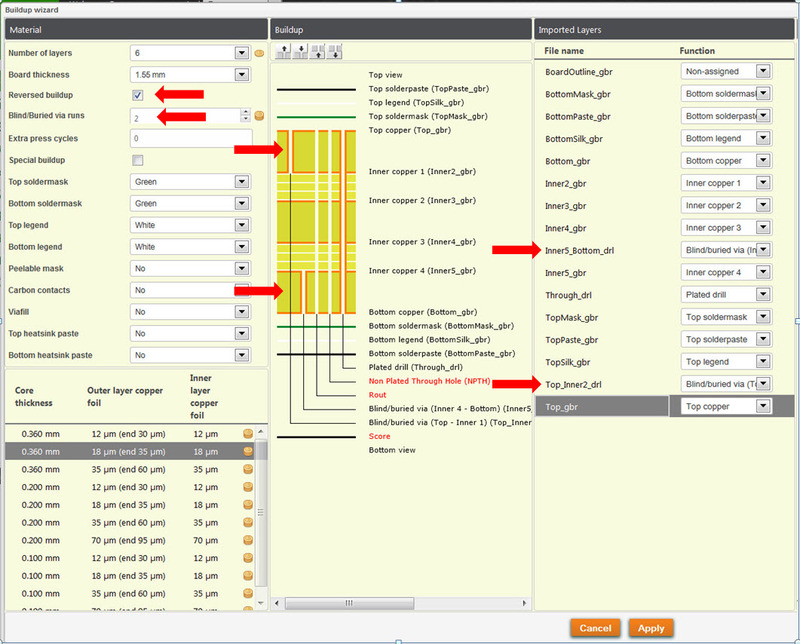 PCB Visualizer flags any values less than the minimum specified for the chosen pattern class (PCB Design Guidelines p. 7). Use PCB Checker to pinpoint the errors. Note that we allow some relaxation of the annular ring rules for obround holes (PCB Design Guidelines p. 9). PCB Visualizer always shows the minimum ring value. If the hole and pad are within the relaxed rules, proceed with the order. Check that the hole size specified for the component is correct. If a smaller hole size will solve the problem, change the value and upload a complete new data-set. In many cases, annular ring issues on via holes can be resolved by our engineers. They either reduce the finished hole size or increase the pad sizes (especially on inner layers). They will raise an exception if the reduced hole size necessitates a more expensive class. We assume that any hole of 0.45 mm finished diameter is a via hole which we can reduce. 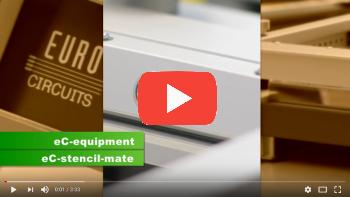 If you have component holes of 0.45 mm finished diameter or less, use the box in the Price Calculator marked “Holes <= may be reduced” to indicate the largest hole which can be treated as a via hole. 5. Why doesn’t PCB Visualizer display the slots and internal cut-outs in my job? PCB Visualizer is a Gerber/drill analyser. Gerber data defines tracks, pads and planes. Drill data defines round holes. Slots and internal cut-outs are defined by draws, in different ways, sometimes on a mechanical layer and sometimes on a copper or legend layer. There is no reliable algorithm to recognize them automatically. However our engineers will recognize them during front-end data preparation. For the clearest way to define slots and cut-outs see PCB Design Guidelines p. 13. 6. PCB Visualizer hasn’t assigned the layers right: what should I do now? This can usually be avoided by clear layer naming conventions. ACTION needed: Correct the build using the layer editor function and proceed with your order. An unusual layout without a clear name may be mis-described. ACTION needed. Correct the build using the layer editor function and proceed with your order. PCB Visualizer has not recognised my profile/scoring layers. 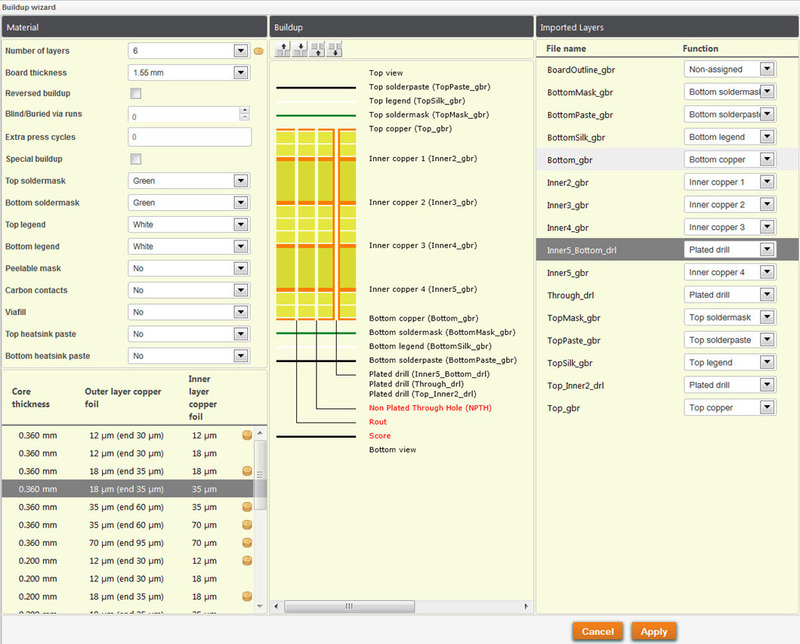 PCB Visualizer can check and measure but it cannot interpret, especially if the mechanical data is stored in a document layer. Place your order: our engineers will normally sort this out. PCB Visualizer has not recognised my blind/buried via layers. There is no standard way to define these so PCB Visualizer cannot detect them. Define them using the Buildup Wizard and proceed with your order. 7. PCB Visualizer can’t read multi-job files. I want Eurocircuits to build me a customer panel so I have put the 2 data-sets into 1 .zip file; but PCB Visualizer can’t show them properly. PCB Visualizer has been developed to work on single circuits. To check the data load each separately. Otherwise ignore PCB Visualizer, place your order and our engineers will panelise the files to your drawing. 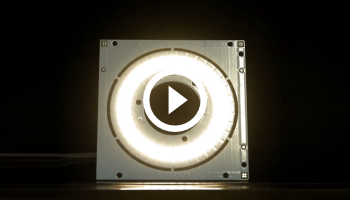 RF2014 – RF Technology days! RF technology days – Een gezamelijk initiatief van een aantal leden van het FHI (NL) en het FEE (B) ! De eerste editie van de RF technology days heeft als focus “trends in Radio Frequency”. Nederland en Vlaanderen zijn niet alleen 1 taalgebied met 22 miljoen inwoners maar vormen tevens 1 markt. Geografisch is onze markt niet groot. De afstanden zijn te overzien maar de reistijden niet vanwege de enorme verkeersdensiteit binnen onze regio. FHI en FEE vonden het zinvol om de handen in elkaar te slaan en rond het thema van RF een programma op te zetten met een lezingendag in België en een in Nederland zodat we voor de elektronica-ingenieurs die ons event bezoeken de reistijden beperken. Registreer nu via deze link en verzeker u van uw gratis toegangsbewijs. Meer info over de RF dagen vindt u hier. https://www.eurocircuits.com/wp-content/uploads/blog/RF2014---RF-Technology-days!/rf2014-techdays.jpg 184 1000 Dirk Stans http://www.eurocircuits.com/wp-content/uploads/2016/07/eurocircuits.png Dirk Stans2014-03-17 10:41:002018-05-14 16:15:47RF2014 - RF Technology days! WOTS 2014 -World of Electronics! 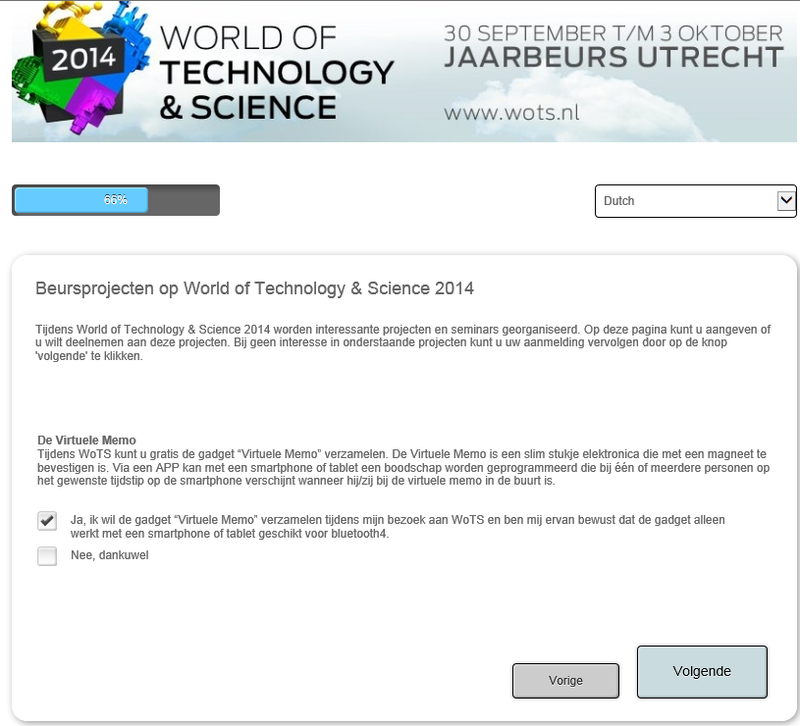 World of Electronics 2014 – Een leuk beursgadget – registreer nu reeds ! “De virtuele memo”, het beursgadget voor de branche Industriële Elektronica, is een praktisch dagelijks gebruiksvoorwerp met een plezante functie:”geheugensteun”. De virtuele memo stuurt draadloos, via de lage energievariant van Bluetooth, een unieke code uit gelinkt aan een geheugensteuntje wat u er voordien heeft in geplaatst. Deze code ontvangt u via uw smart phone waar de “memo APP” u het geheugensteuntje weer laat zien. Vermits meerdere personen deze info kunnen ontvangen kan men zo boodschapjes aan mekaar doorgeven: “Schat, vanavond komt mijn moeder op bezoek.” Het aantal mogelijkheden is daardoor zeer uitgebreid. Voor de elektronicaliefhebber zullen we uiteraard weer alle ins en outs beschrijven en kenbaar maken. Het gadget kan u alleen bekomen, als u zich als bezoeker voor de beurs aanmeldt en tijdens de registratie aangeeft dat u het gadget wil ophalen. Registreer nu als Eurocircuits klant als eerste via deze link en verzeker u van uw gadget en een gratis toegangsbewijs. Vanaf eind maart zal iedereen kunnen registreren en is het aantal gadgets mogelijk snel uitgeput. https://www.eurocircuits.com/wp-content/uploads/blog/WOTS-2014--World-of-Electronics!/virtuele-meme.png 740 815 Dirk Stans http://www.eurocircuits.com/wp-content/uploads/2016/07/eurocircuits.png Dirk Stans2014-03-10 00:00:002018-05-14 16:15:47WOTS 2014 -World of Electronics!